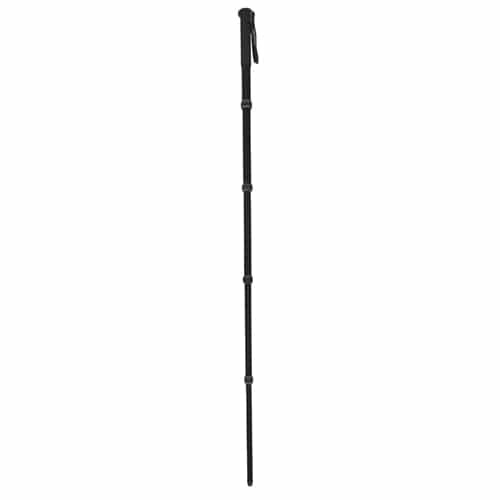 Heavy-Duty, lightweight aluminum 4-stage monopod extends from 20″ to 72″ and supports up to 25lbs. You can upgrade to a full ‘ChickenFoot-AL’ system later by adding a VZCFAL. Add a VZBH760 or VZPH1568 for still photography. The 4-stage aluminum design allows the unit to collapse into a very compact form and expand to an extended height of 6 feet while retaining excellent rigidity. High quality twist-lock fittings provide easy and secure adjustment for on-the-go shooting. The adjustable rubber tripod foot threads out of the base so you can add an optional spiked foot or other accessories w/ 3/8″-16 thread. 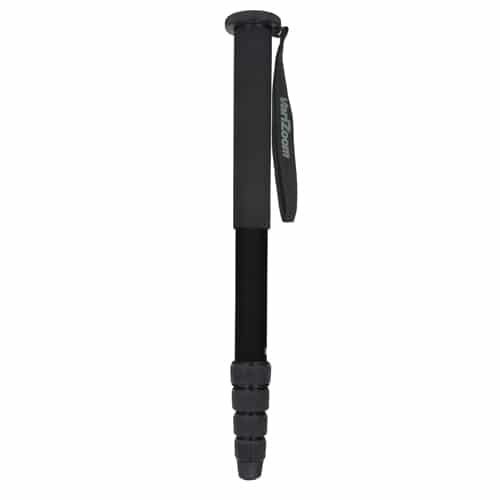 This compact and lightweight aluminum monopod offers the portability and quick setup of a conventional monopod, but has the ability to attach an optional ‘chickenfoot’ tripod base (VZCFAL). The optional tripod base is connected to the monopod section with a ball joint that allows smooth repositioning of the monopod so you can capture any angle needed. VZBH760 or VZPH1568 for still photography, or a CHICKENHEAD for fluid pan/tilt on video shooting. Also included with the unit are a soft padded carrying case and removable wrist strap for safe handling. Up to 25 lbs vertical and static – not to be left freestanding and unattended.